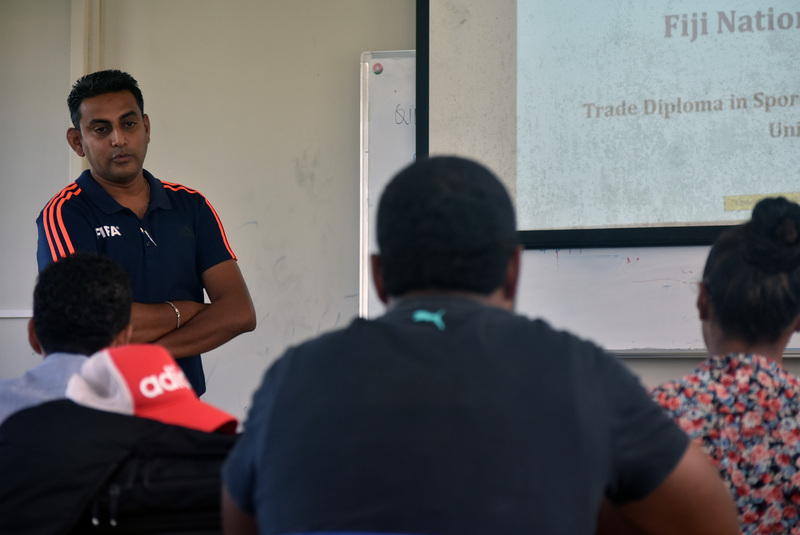 The Fiji Football Association in collaboration with Fiji National University have joined together to educate the students of the Trade Diploma in Sports Science Program about football. The five weeks course started today at Fiji National University campus in Nasinu with nine students and is expected to increase by this week. 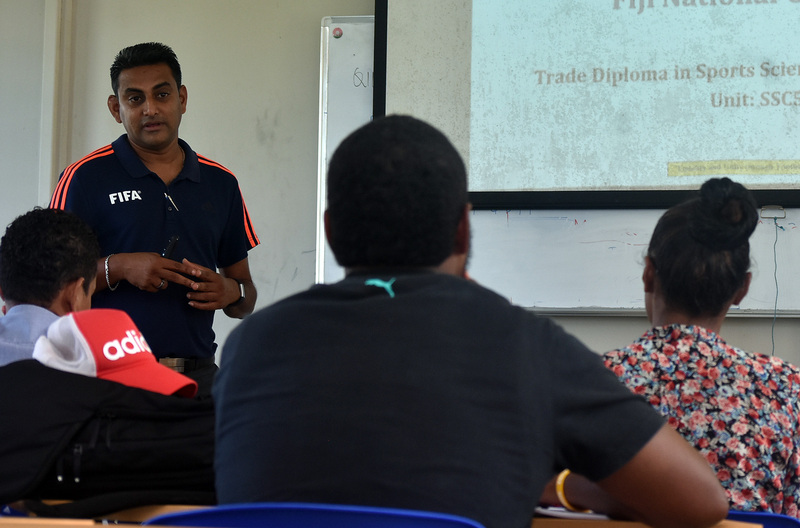 Fiji Football Association Technical Director Ravinesh Kumar who is facilitating the course said the main aim was to enhance the students’ knowledge of the game. “This is good way to let them understand the key competencies of football and to have an overview of the laws of the game, “Kumar said. Kumar said these would also improve their understanding of player development with a specific focus on the grassroots development. Kumar said after the completion of the program the students should be able to design a football session that meet the needs of players and team requirements. “They will also know to prepare, conduct and evaluate practical coaching sessions within the context of the football framework, maintain safe ethical and supportive working relationships with players in a well-constructed coaching environment and also to demonstrate an understanding of the related disciplines that support the role of the coach, “Kumar said. Kumar said it was a good start and the students could further enhance their knowledge on football coaching. “It is a pathway for the development of football in the country as we can have some qualified young and enthusiastic students joining Fiji FA in future and assist us in the development of football, “Kumar said. 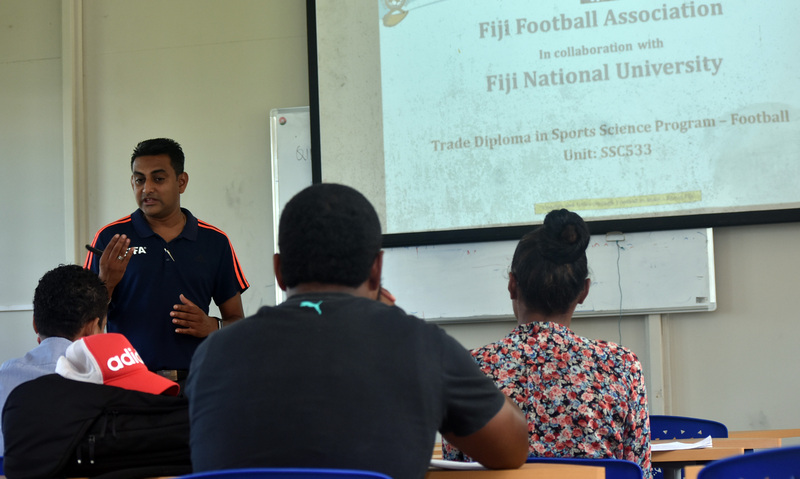 Fiji National University’s Sports Development Officer and former National Sevens coach Alifereti Cawanubuka welcomed Fiji FA’s cooperation and said this was an added advantage for the students to learn about football in the program. 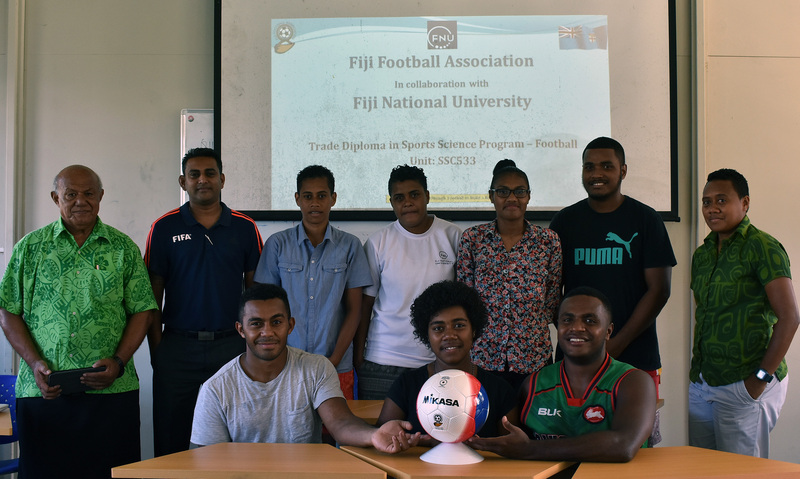 “We have other sports like rugby, volleyball, netball and other sports but this is the first time we have joined with Fiji Football and I am sure the students will learn a lot,”Cawanibuka said. “It’s good that we have involved Fiji Football Association the students can learn the latest techniques, different methods of coaching and develop players,”Cawanibuka said. Cawanibuka said this was a win win situation for both Fiji Football and the Fiji National University. “These students can go back and help Fiji Football in development of football whether it is in schools, clubs or districts and also generate interest in football,’Cawanibuka said. He thanked Fiji Football Association for their collaboration and hoped to continue in many years to come. 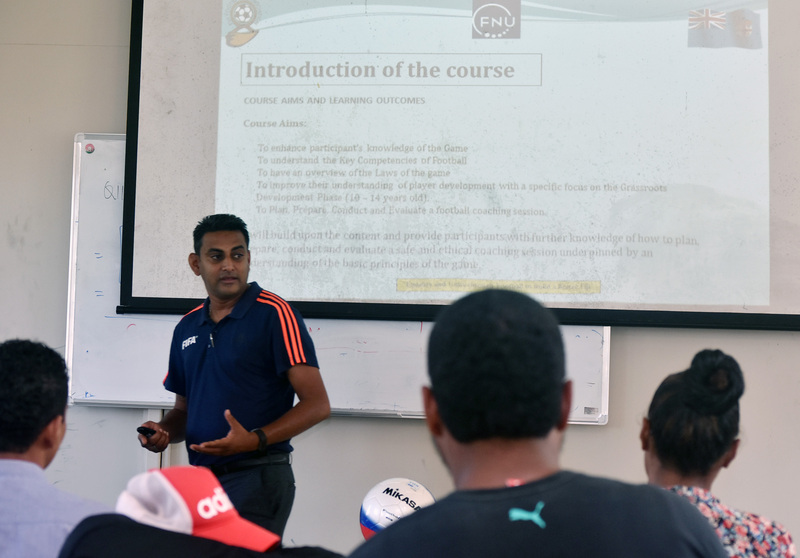 The five week course will also see Vodafone Fiji national football team assistant coach Yogendra Dutt and Fiji FA Referee’s Director joining in to facilitate the course.